The Past Present, an eclectic collection of stories, was first published in the UK in 2000 by IUMIX Ltd. In 2001, a new edition was published as POD and as an Ebook. A few years later, IUMIX, ahead of its time, unfortunately ceased to exist. In 2012, I released the Kindle version of The Past Present. Reading through Sylvia Petter’s The Past Present is very much like Ben, the leprechaun’s “travelling, … drifting in a cloudy, lovely world” where flickers of sunshine wipe away the sometimes harsh realities of daily life. Each character’s intimate perceptions of his close environment are rendered through skilfully etched flashes of his or her experiences. Discover the diverse messages of these highly contrasting short stories and please yourself by taking a trip into the author’s haywire imagination, humour and word-play. My personal choice goes to “An Imaginary Friend” but why not find out “The True Story of What Really Happened to Humpty the D.”? To get the progressive sense of a unifying theme, I recommend reading The Past Present from start to finish like a novel. The title really kicks in as you move from one story to the next – how people and places in our past add up to who we are in the present. By reading each story successively you also appreciate the way the collection has been paced; the rhythms created by the varying length and intensity of the stories (always powerful situations built through dialogue and – especially those set in Australia – gorgeous descriptions of place) are like life’s rhythms. 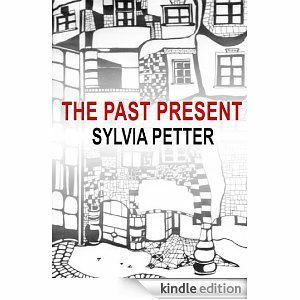 Sylvia Petter’s The Past Present is just that; the past brought into today’s light. Petter whips up a witty and whimsical batch of brilliant ‘nouvelles’ which give varying representations of her own days of yore. These quick and concise tales range from adventures with leprechauns to heart wrenching accounts of life affected by World War II. Her dramas span continents and are envisioned by a colorfully mixed cast of characters. Woven through time, these tales seem to silhouette Petter’s own questions and lifelong conclusions; she pours secrets and tells of lovely lonely memories. While each story demands reflection, the work left me asking for more from Sylvia Petter. Each story averages about 4 pages making this book an ideal commuter’s read. Petter has a way of looking at the world that can be funny, moving, and original all at the same time. Posted in: My books. Tags: kindle, The Past Present.